If you are reading this, you believe that collaborations between teachers and librarians make a difference and are worthwhile. Whenever librarians come together, we invariably end up discussing collaborations – our successes and our frustrations. My AP Language students are just finishing a unit on Rogerian argumentation, making me think about the shared ground for collaboration between teachers and librarians. The best collaborations need shared time (for planning and for implantation), shared goals, shared vocabulary and shared respect. Eager Beaver collaborators look for any opportunity to co-teach. Students are used to seeing me in their classes and the teacher and I can finish each other’s sentences. 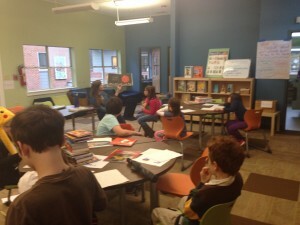 This is where I spend most of my time, designing curriculum, in the classroom, and meeting with students. 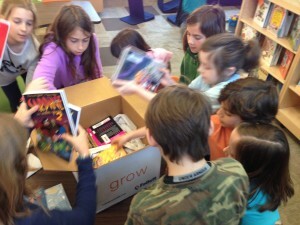 I Appreciate Libraries collaborators believe in school libraries. 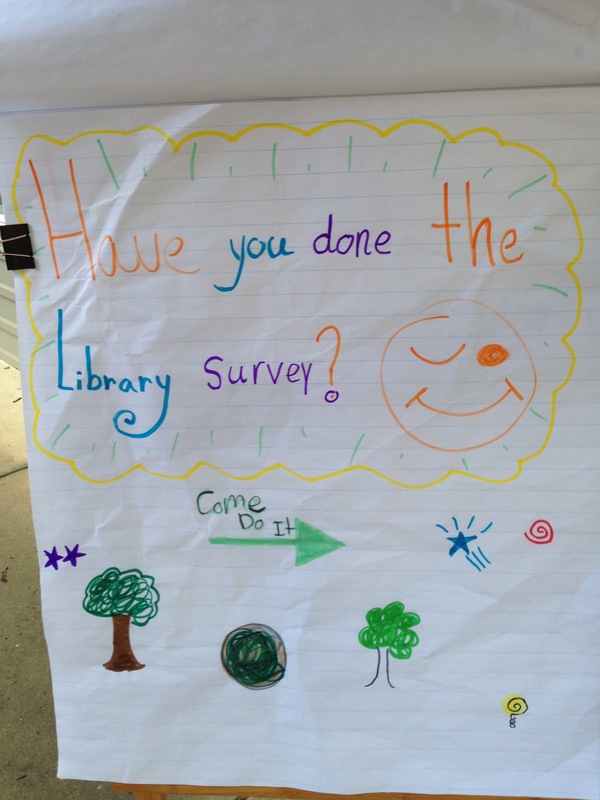 They tell their students to use the library and incorporate research but don’t necessarily include the librarian in their planning or scheduled library time. Someday Maybe collaborators is the optimistic term for teachers who don’t fit into the above categories. 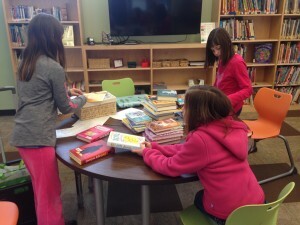 These individuals don’t tend to see any connection between their curriculum and the library program. It’s (hopefully!) 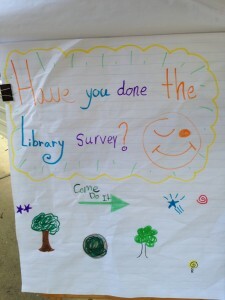 not that they dislike the library, just that they don’t see a place for it in their classrooms. Recognize that teachers also feel the time crunch familiar to all of us. 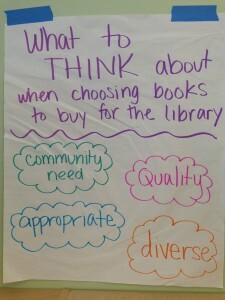 Many conversations with my Physics teacher husband led to my thoughts on how to best reach the I Appreciate Libraries contingent. Eager Beavers don’t need more encouragement, and Someday Maybes are, well, someday maybe when the time is right. But for I Appreciate Libraries; I can offer support in a way that enhances their projects while preventing me from trying to find a way to schedule three different classes during the same period. Offer virtual help. The library webpage, libguides, slideshows, and help videos are available on demand for students in the midst of researching. 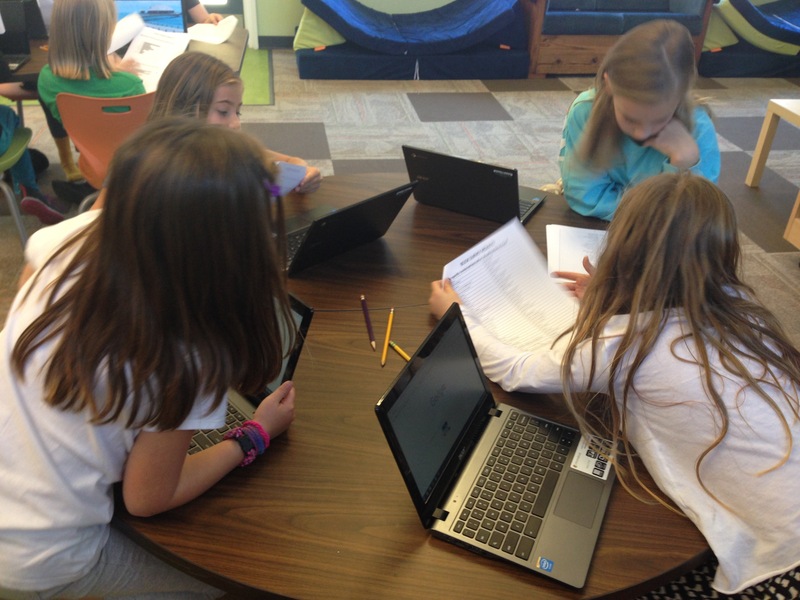 Not as personal as a class session, but they can be accessed anytime students are researching. They also have the advantage of being available for multiple classes and shared between department members. Offer in-person help at surprising times. Office hours, popping by classes, and having teachers recommend students meet with me during study hall have led to conversations and research consultations with individual students. I know I’m not the only librarian whose desk is next to a printer. 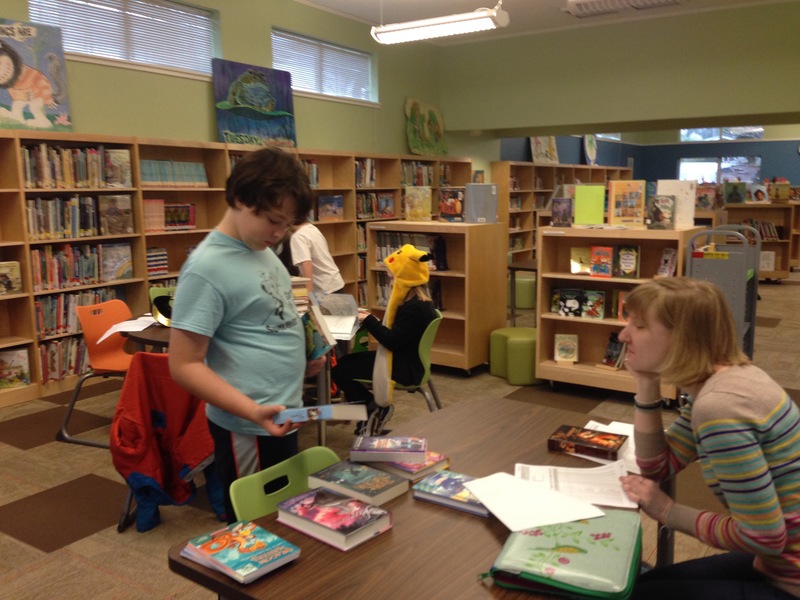 A friendly question when students pick up work is a great opening for project assistance. Offer suggestions for next year. It’s hard to fix a project that isn’t working mid-stream. Personally, I’ve never been successful at it. Students are already working towards their goal, and the class as a whole gets a bit of tunnel vision. By taking notes on what’s not working and approaching the teacher afterwards, you can set the tone for a more successful project next year. Teach the teacher. I was surprised in a chance conversation in the faculty room earlier this year to learn that a teacher wasn’t bringing his classes to the library because he “knows how busy I am.” True, but my passion is teaching. I will put off cataloging and user analytics for any time with students. But also, sometimes teachers don’t plan ahead as much as would be ideal or our schedules don’t work. (Might I mention that you can all think of me next Friday when I’ll have 8 classes in 5 periods?!?) Many of my teachers know how to use JSTOR or evaluate websites after seeing me work with their classes before. 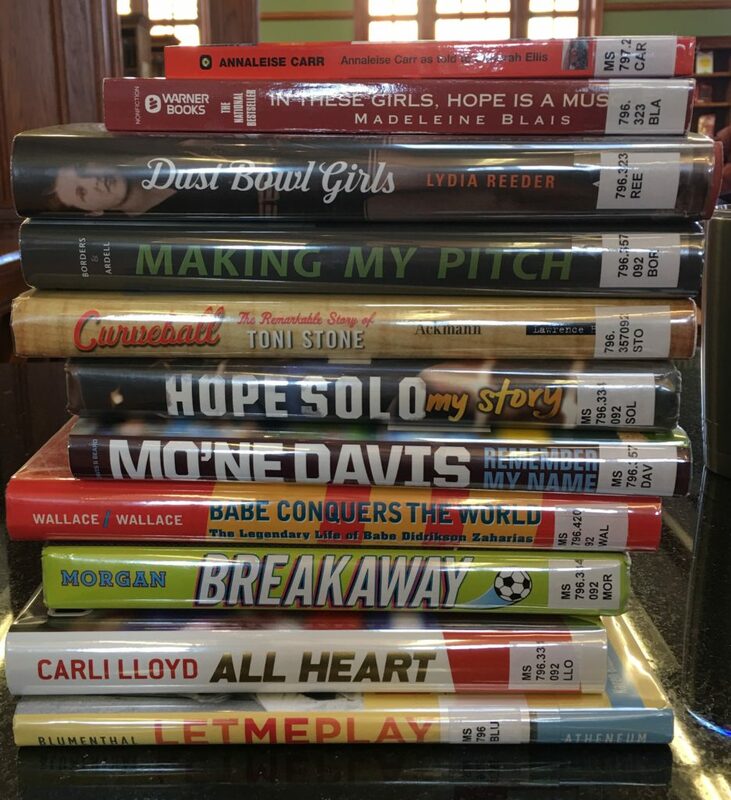 It’s been really hard for me to think that it might be a sign of a successful program that teachers feel empowered to conquer these subjects on their own and that it’s really an endorsement of what the library offers, even though it feels like a rejection in the moment. Much as I want to collaborate with every teacher, I know that amongst all the classes, I’m reaching all the students in my Middle and Upper School in at least one of their courses. Instead of spending my energy worrying about teachers who aren’t looking to collaborate, I’m working on providing the skills that my students need for college and career readiness in a format that works for more of my teachers. It’s time to think creatively. Please leave any suggestions or recommendations below. Whenever possible, I love to collaborate with colleagues, friends, students…the fun of more brains than one just sparks a deeper imagination. Our professional organization, AISL, is another source of excellent teaching and learning partners. While many of us share our expertise at conferences and via the listserv – have you considered co-teaching with a fellow AISL member? When I met Debbie Cushing, Lower School Librarian at the Westminster Schools in Atlanta, last year at the AISL Conference during Dinner with a Librarian, I knew there was a project between us waiting to hatch. While browsing the shelves at Little Shop of Stories, we began talking about Mock Caldecott and Newbery lists. 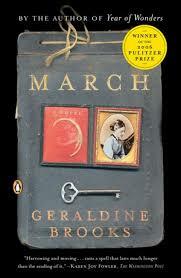 We lamented ‘so many books, so little time,’ and outlets we seek out for guidance on narrowing our selections. With that, the spark ignited. 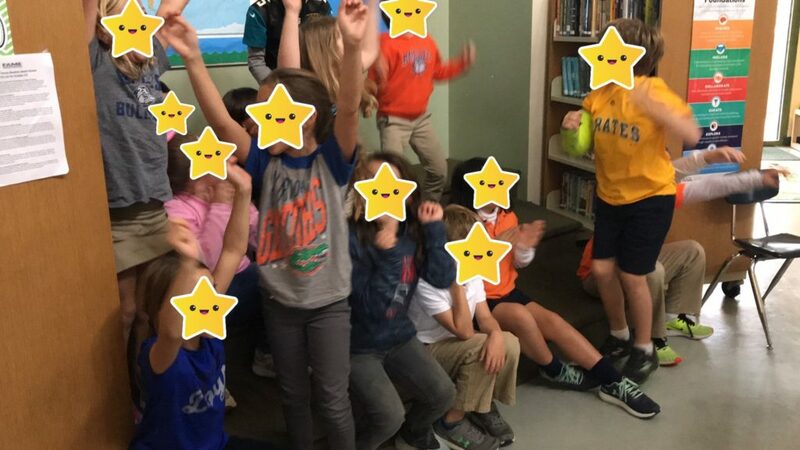 On the spot, we decided this year we would do a Mock Caldecott Collaboration: Westminster Schools Smythe Gambrell Library X The Bolles School, Ponte Vedra Library. We both have Mock Caldecott programs in place with the Second Grades at our respective schools. We both are committed to children learning about the deeper purpose art plays in picture books. We both desired a fresh update to our programs. BAM! We exchanged information and got right to it. 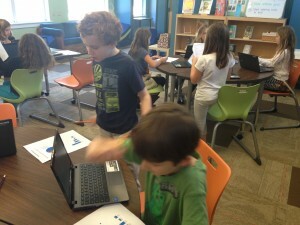 In May of last year, we shared a Google doc to keep notes, start book lists and develop timelines. In August, we connected both by phone and via our Google doc to work through the expressions of our programs and the timing of various classes, events and, of course, holidays. We laughed and found common ground while inspiring each other to reach higher. In late October, we began our unit and announced it to our classes. My students were so excited to be sharing this experience with other kids their age! In another state! Imagine! 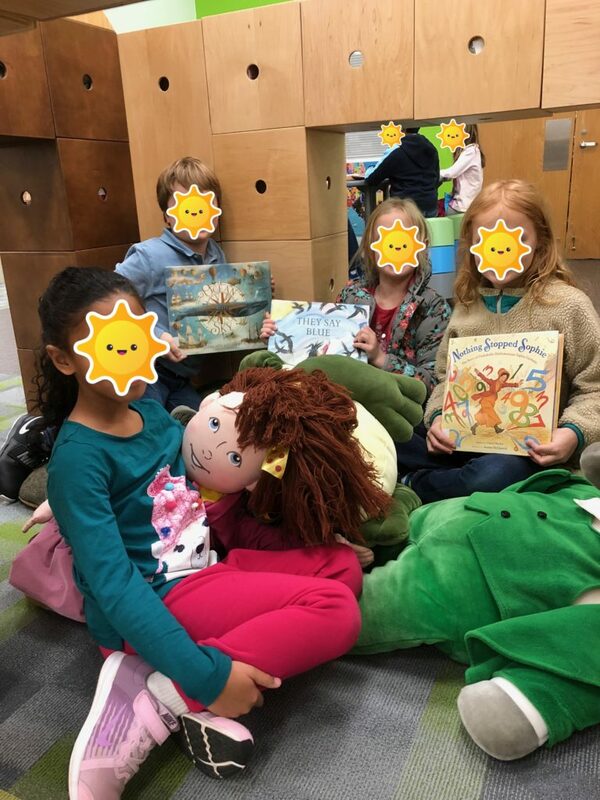 Through November, December and January, we read 13 picture books, analyzed all the art, debated merits of Caldecott guidelines, worked in Mock Caldecott Committees to [briefly] experience what it’s like to sit at a table with peers and opinions and choose a “winner” among a collection of winners. Debbie and I shared photos, emails, and reflections along the way. We offered stationary to students to write pen pal letters around their reading experiences and Caldecott experiences. At the time of voting, we shared the unique results of both schools and compared notes. On the Big Day [YMA announcements] in January, when HELLO LIGHTHOUSE won, our students were jubilant! 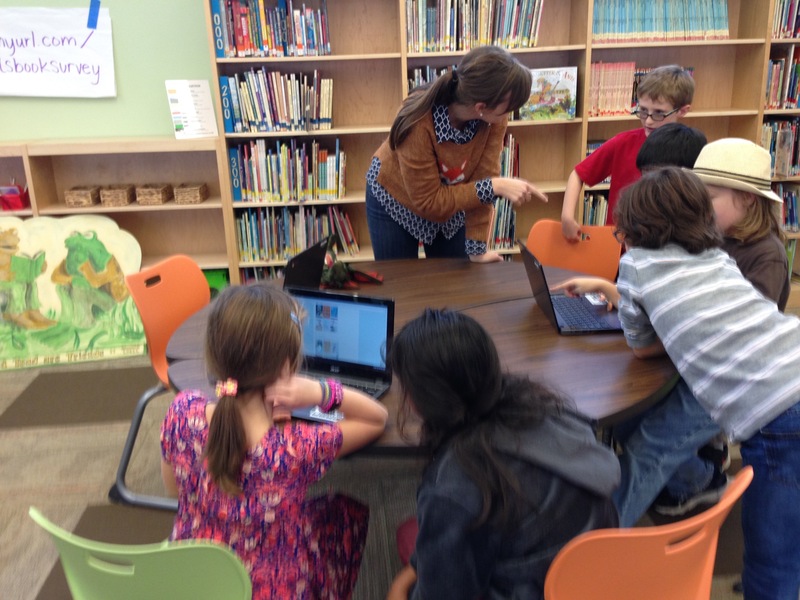 Collaborating on Caldecott? You bet! Developing curriculum? Starting a book club? Trying out a new website eval system? 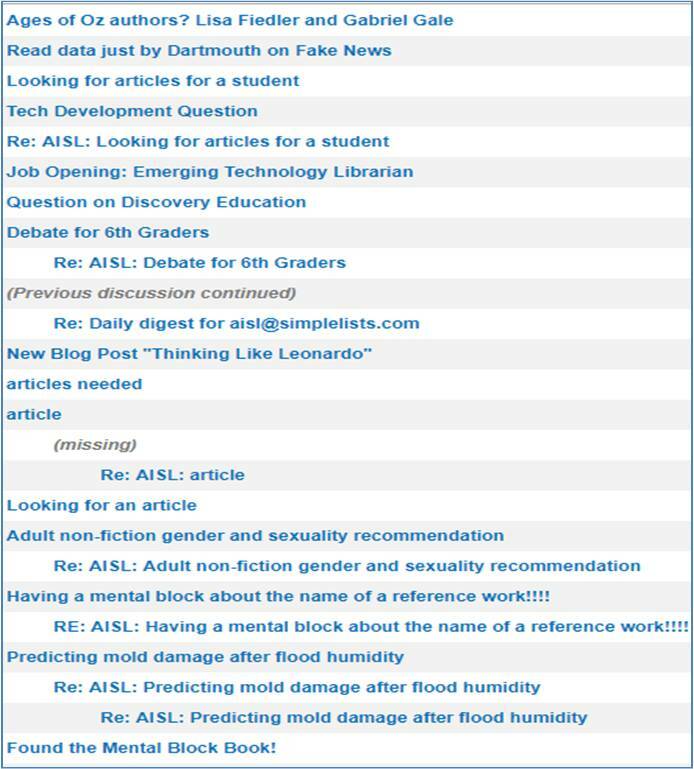 Reach out to fellow AISL colleagues as collaborators! Over the next few weeks, Debbie and I will debrief and make plans for next year. This experience offered a natural and enjoyable way to grow both professionally and personally. Let sparks fly! What does AISL mean to you? Please share widely! Happy New Year from the AISL board! 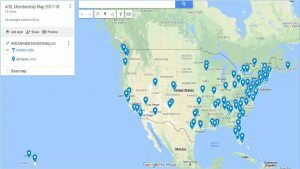 After mapping our membership last year, we wanted to share our new year’s resolution with you and ask for your assistance in helping us meet it. If you’re reading this as a subscriber or as a link from AISL media channels, you’re already a member of the Association of Independent School Librarians. You know our value; we thank you for your membership. 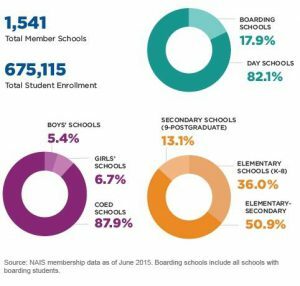 NAIS currently has 1541 member schools. We have 641 members from 390 schools. There are many professional organizations for librarians, but we are the only one that’s entirely focused on k12 independent school education. We would like to spread the word and grow our membership; we are stronger as a profession if we learn from and advocate for each other. As you can see from the map, we have strong representation across the East Coast, with membership extending as far west as Hawaii. What if I am currently a library student? We offer a discounted $15 membership for students earning library degrees. Many jobs are advertised on the site in the spring. Why should I join this if I’m already part of a regional library group? 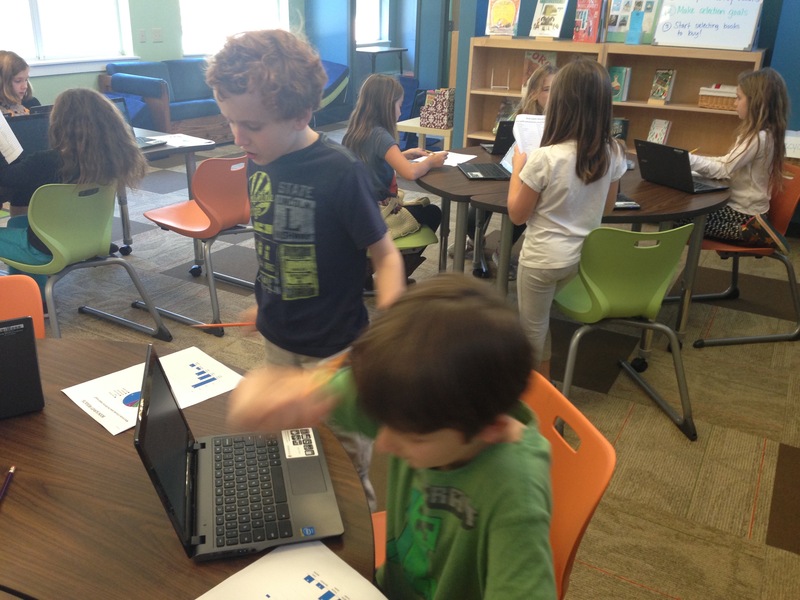 Library trends and challenges transcend local geographic boundaries. 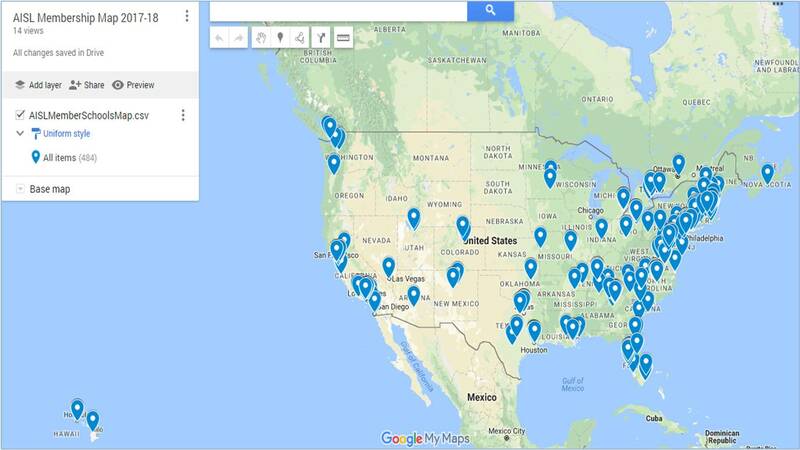 With AISL, your reach is all across North America, and AISL members are quick to respond to requests for information and advice. The conferences are very popular and sell out quickly. 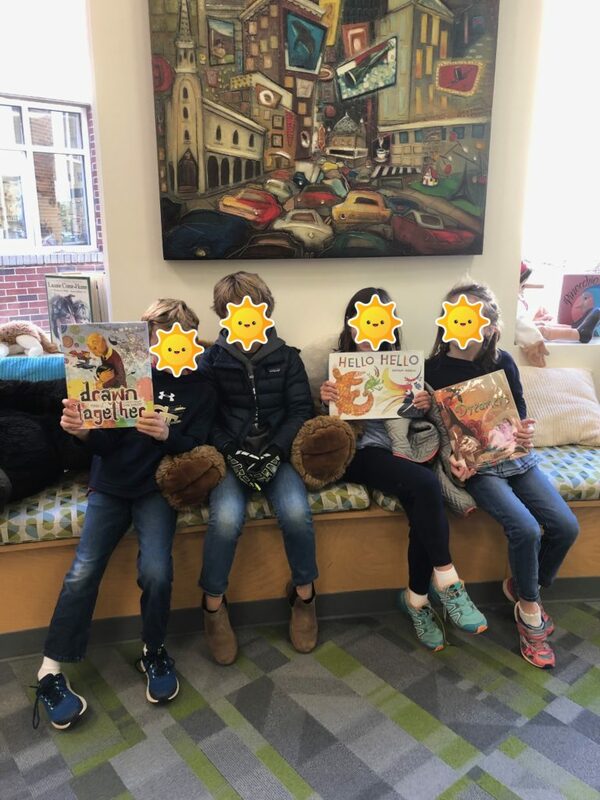 Librarians love the tours of independent school libraries and the distinctive character of each conference based on the hosting city. We are working to increase registration slots at future conferences so more members can attend. 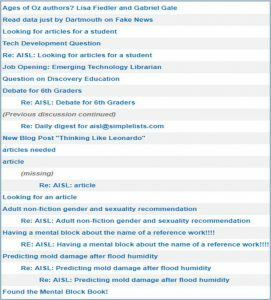 Is there a digest option for the listserv? There is. You can either receive emails throughout the day or one daily digest. Please share this post widely, personalizing with your own AISL experiences. The board is happy to answer questions about membership. We’re looking forward to broadening our community. Let’s do more together! With warm wishes for a healthy, happy 2018. Collaboration is a buzzword these days. I’m all for collaboration. How can you be against collaboration? However, you may be familiar with what I have taken to calling “passive collaboration.” Some of the blog posts over the past few months have dealt with the difficulty of reaching every student. We all have students and teachers who recognize the value of libraries more than others. Teachers have a surefire way to access students and motivate them; I do not. While I’ve had success approaching teachers with my ideas, I’ve had greater success when teachers approach me and tell me the lessons that they are planning. Then I work with them and add in the research and information literacy components that I’ve been dreaming about. I feel like it’s in keeping with the “yes and” rule of improve theater. How can I build on your ideas? I’m a planner by nature—I think most librarians are—so this does not come naturally to me. But I’ve learned that there is a playfulness that comes with this level of adaptability, and it ultimately leads directly to more time with students, my favorite part of the job. One example that jumps to mind from this past semester is when a teacher asked me to come to a middle school Humanities class to hear each student present on a current events article of his or her choosing from the news. There were a few on global health and economics, but most were on immigration and refugees. As we started to compare the information in various newspapers and different countries’ responses to immigration, the teacher invited me (in front of the class) to come back every Monday to continue to analyze immigration reporting in newspapers around the globe. It ended up being a lot of fun, and student feedback last week indicated that they felt they had a much more nuanced understanding of immigration in December than in September. A separate example? When I was asked to help World History students provide feedback to student work from a sister school in Japan, it turned into a multiday lesson on how to write reviews and give feedback electronically, using our own town as an example. The time flew by. And I’ll be working with that teacher again in February on a longer project. A foot in the door…. I’m not saying that librarians should take a backseat to teachers, but I’m living in a world where doing so gives me so many more opportunities to collaborate. Think about the adage, “restrictions breed creativity.” Right now, enjoy the winter break, and when you come back to school, refreshed, in January, make it your resolution to go with the flow and try something new that a teacher presents to you! 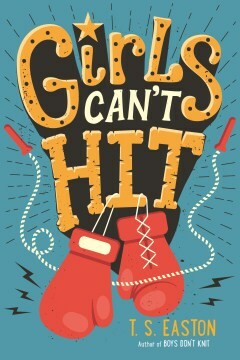 How Do You Throw Like a Girl? This summer our history department chair shared a collaborative document of resources for teaching Social Justice and Multicultural Understanding. I was immediately drawn to the link for Spike Lee’s short documentary, Throw Like a Girl about Mo’Ne Davis. In the summer of 2014, Mo’Ne became the first girl to ever pitch a shutout in the Little League World series. She was the first American girl to play in the Little League World Series since 2004. Even if you never plan to use the film in the classroom, I emphatically encourage everyone to watch the 16 minute profile of this incredibly talented, eloquent, and humble young role model! Embedded in the document shared by our department chair were resources for utilizing the many links in the classroom. 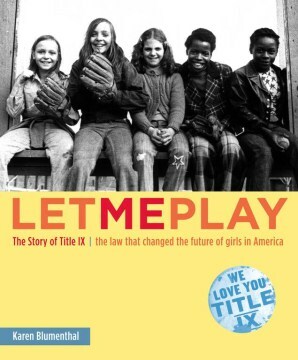 I scoured the internet for other ideas and found the Philadelphia Chapter of the Anti-Defamation League’s unit for teaching about gender stereotypes along with this film. This idea for a new unit to share with my Fifth Grade students also got me thinking about ways in which I could creatively incorporate the theme of our school’s core values which we were rolling-out for this academic year. The core values are: Be Brave, Authentic, Compassionate, Curious, and Spirited. 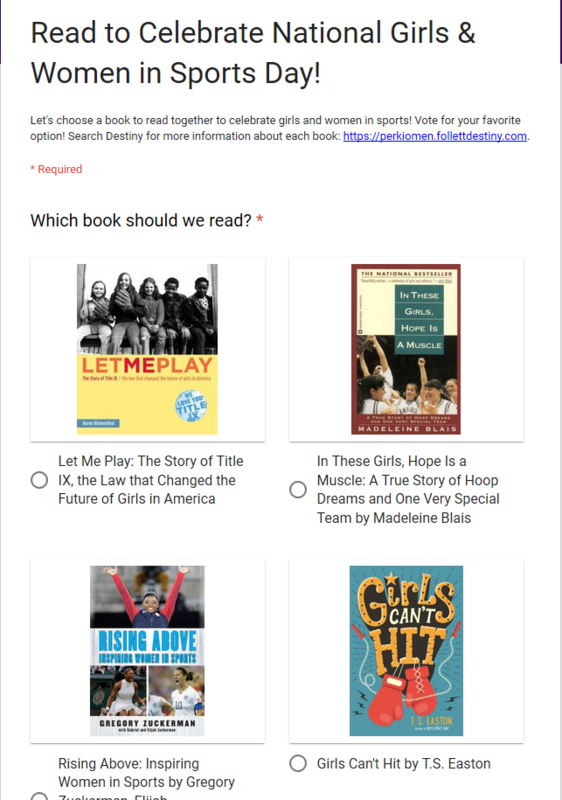 I had created resource lists of books in our library catalog for our teachers to use that showcase a core value within the theme of each book. And after researching more about Mo’Ne Davis, it was clear that she illustrated each of the core values in all that she has accomplished and embodies. In the film there are many references to Mo’Ne’s attendance at an independent school in Philadelphia, which is a great connection for our girls as well. 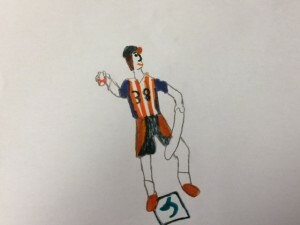 We began the unit by drawing pictures of baseball players. 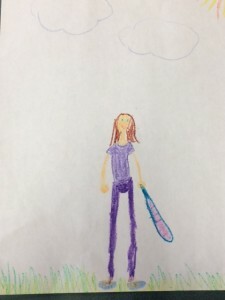 You can see from the students work below that not all of them chose to illustrate a male player! We displayed the pictures which were anonymous and then captured the commonalities and differences in our drawn characterizations of the players. This activity helped situate our current understanding and where we had areas to grow our learning. The Fifth Grade students complete a capstone research project at the end of the year which culminates in a five-minute speech for the Lower School. 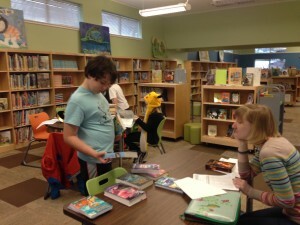 I am fully integrated in this project, and work with the homeroom teachers to prepare the students for their research. 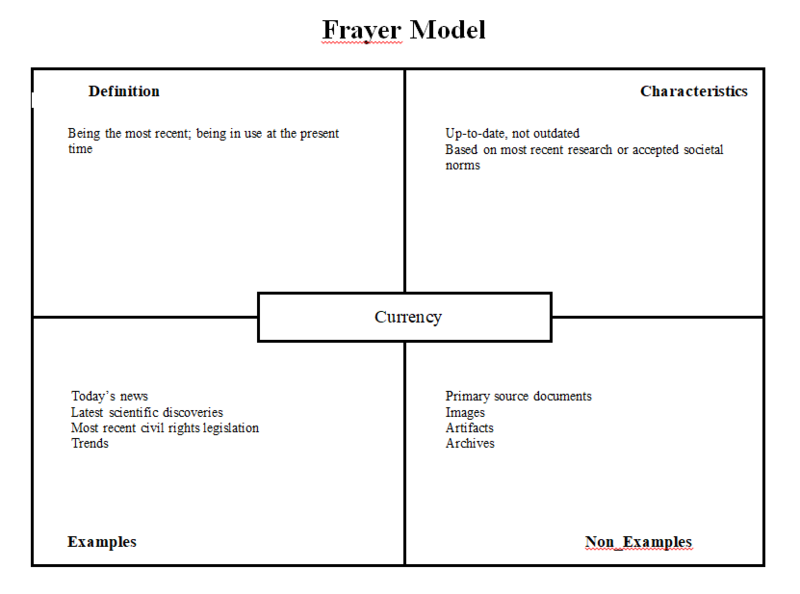 As part of this unit on Mo’Ne Davis I sought to actively incorporate the skills students will use later in the year. To that end, I selected articles from the New York Times, CNN, and Time magazine to read and summarize for the class. 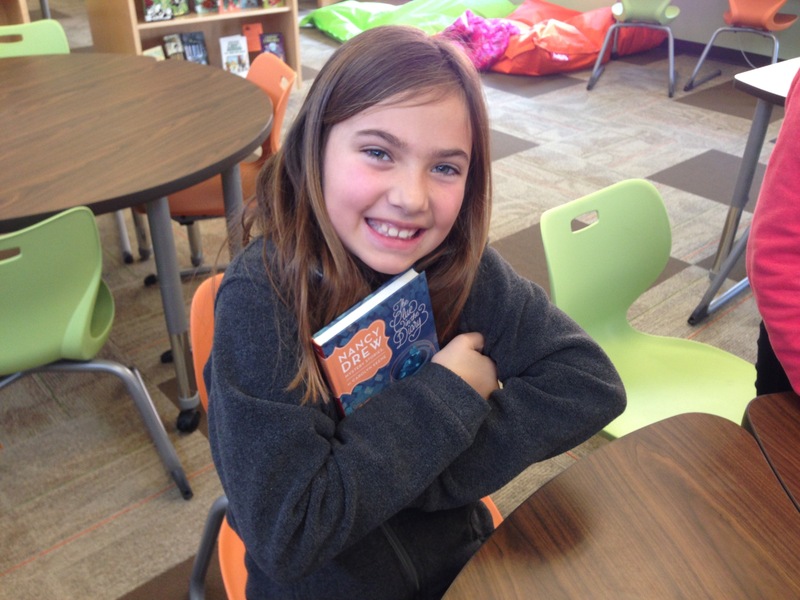 Resources used for the Fifth Grade speech process typically include multiple formats and this lesson gave students exposure to the news articles most students would use as a source in their speech project. By sharing my rationale for using news articles to learn more about Mo’Ne Davis, I was thrilled to see the students understand my logic and dive in to the readings! We discussed vocabulary related to the readings and used throughout the film such as stereotype, gender, discrimination, and role model. 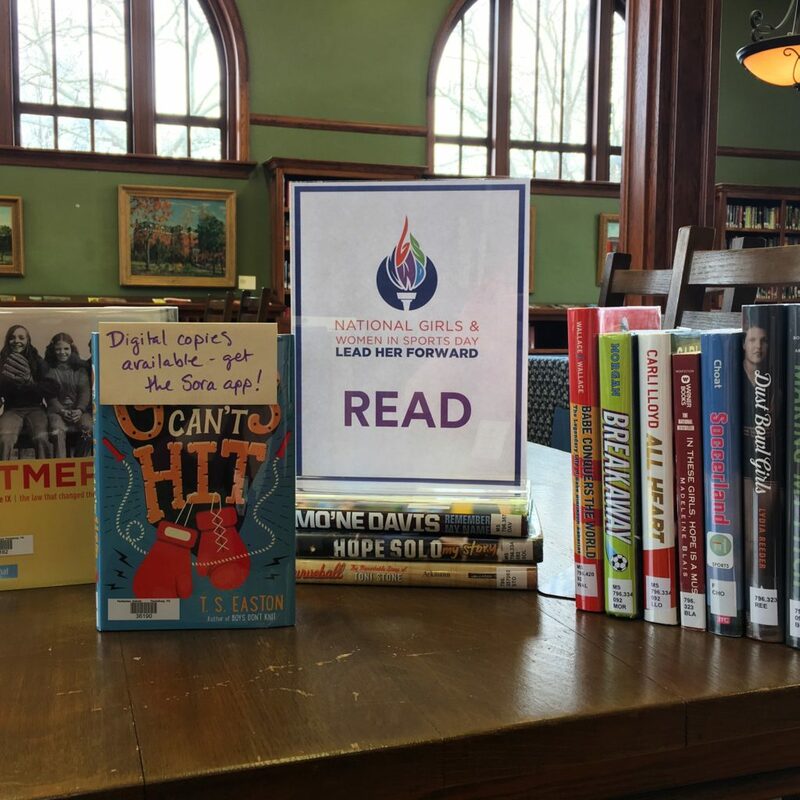 Our discussions were spirited and we will conclude the unit by viewing Spike Lee’s film: Throw Like a Girl, along with the video: #Likeagirl. The final step in our learning is to throw a baseball and see if we can “throw like a girl” and approximate this young athlete’s incredible speed and location! Talk about a curveball. My younger sister had a stroke about six weeks ago. She is now “finding the new normal” in a rehabilitation center. She, like many of us, is a high-energy, hard-working, go-the-extra-mile type. 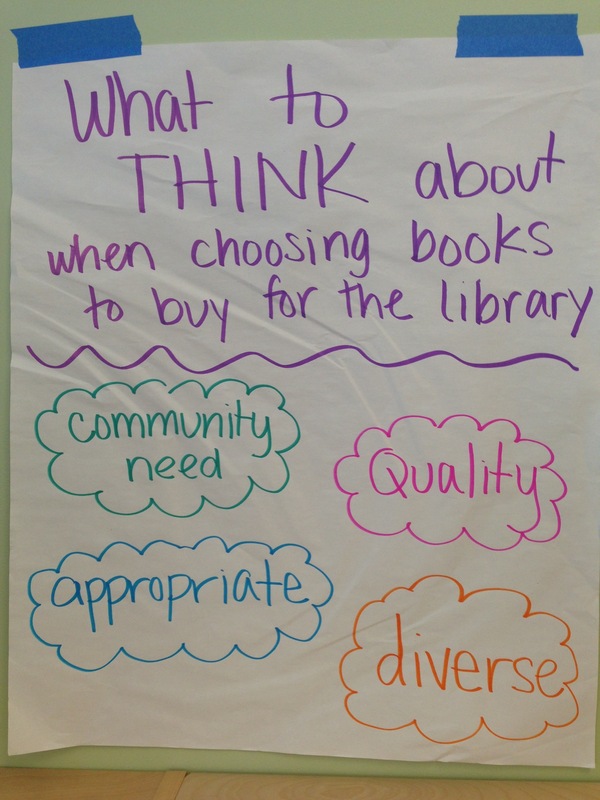 In these last six weeks, a few platitudes have been brought sharply into focus, and without sounding too cheesy (as the middle schoolers here would say) here are a few things I will try to incorporate into my library practice. When I say “my sister is in rehab” I sometimes get a fleeting “Oh really? !” look. I usually add “for a stroke” but with or without the qualifier there can be an awkward silence. Do I jump to conclusions with students and colleagues? Do I cut people some slack when I can? No matter how important you are (I see the comments from solo librarians and traveling librarians who are wearing a lot of hats these days) life will go on without you. If your heart (or some other organ) is telling you a change needs to be made, start figuring it out before the decision is somehow made for you. 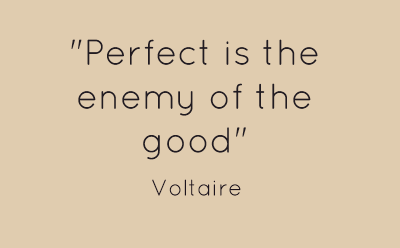 Ultimately, it is not your problem to make it work for everyone else. Things will go on. You will be missed, but things will go on. Learn how to say no, if you need to. There are lots of books on being more assertive. Be willing to share information with your colleagues and family. Don’t be the only one who knows how to unjam the copy machine, or where the list of contact phone numbers is kept. You may not have time to leave notes or hand off projects. I will try to remember to share the practical knowledge about this library with my colleagues when I can. Build up Good Karma When You Can. You Never Know When You Will Need It! Ellen’s neighbors, colleagues and friends have been incredible. Truly, jawdroppingly amazing. One of the reasons for this outpouring is that Ellen and her family made many contributions into the “favor bank” over the years and now they are able to make significant withdrawals without running dry. The give and take is all a part of being collegial, and I will try to look at it as more of a marathon than a sprint.